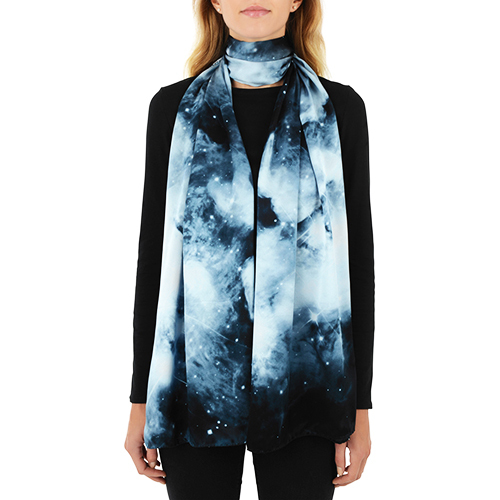 Nebula is Latin for cloud, and nebulae are "clouds" that can be thousands of light years across - yet weigh little more than a Weston scarf! 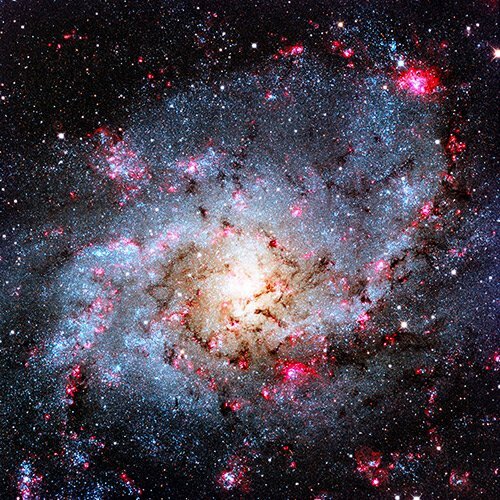 Who ever would have expected outer space to look like this? 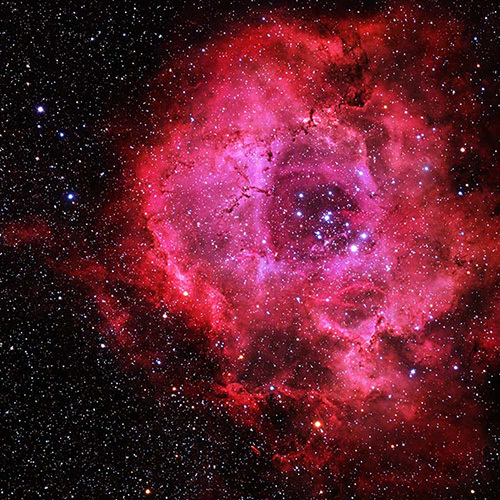 But what makes it even stranger is that these nebulae are not here and now. This is an image that has taken hundreds of light years to get here. However, it makes for a simply stunningly scarf that is both familiar, yet also utterly unexpected.